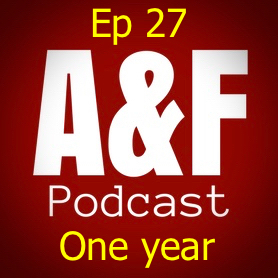 Its a year since we started the podcast and look how far we've come, or fallen, depending on your perspective. It seems like an opportune moment to reflect on the last years but we were mainly distracted by bickering. Al tells a dull, and irrelevent, story about annual appraisals. We ponder our year, the unexpected outcomes and who a dream guest would be for the future. We disagree over #NationalAdoptionWeek and unpick some past activites and future hopes in relation to #CPV. A veritble all you can eat buffet of banter, prattle, incisive thought and insight. Thanks for the year and all the listening.